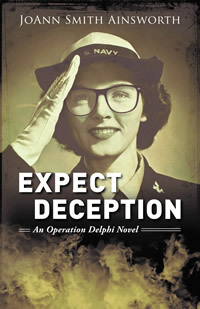 Suspense novelist JoAnn Smith Ainsworth joins me today and we’re chatting about her new paranormal Expect Deception, it’s book two of her Operational Delphi series. JoAnn Smith Ainsworth experienced food ration books, Victory Gardens, and black-out sirens as a child in WWII. These memories create vivid descriptions of time and place which put you in the midst of a fast-paced journey through paranormal realms as U.S. psychics hunt down Nazi spies. Ms. Ainsworth lives in California. She has B.A. and M.A.T. degrees in English and has completed her M.B.A. studies. 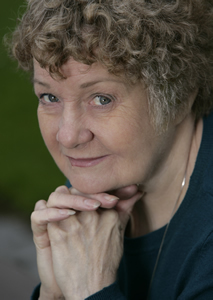 She has published five previous novels. To learn more about this award-winning author, visit her website. Please tell us about your current release: Expect Deception. Just when US WAVE Livvy Delacourt thinks she and her team of psychic Nazi hunters are ready for whatever The Reich can throw at them, Hitler adds to the mix a spy who also happens to be a wizard. Now dark magic is being used to attack U.S. facilities. Livvy must match wits with the evil wizard, whose objective is to destroy Operation Delphi and all her team. If she fails to ramp up her psychic powers, she may perish—and perhaps cause the U.S. to lose the war with Germany while she’s at it. 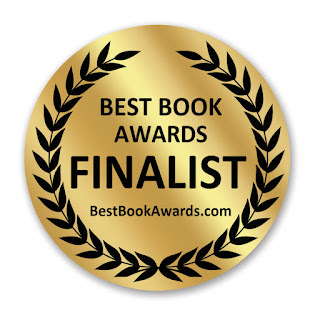 An emotional journey through paranormal realms, Expect Deception is a fast-paced, suspenseful tale of what happens when U.S. Navy psychics pit themselves against their Nazi counterparts. In this series, the U.S. government recruits psychics to find Nazi spies on the East Coast. It’s been a journey to get to the series. I experimented with my first four novels to decide just what it was I like to write. I started writing just before retirement and wanted to discover something I enjoyed that I could do for the rest of my life. I combined genres in my first four books and tested them out: romance, suspense, westerns, mystery, and paranormal. 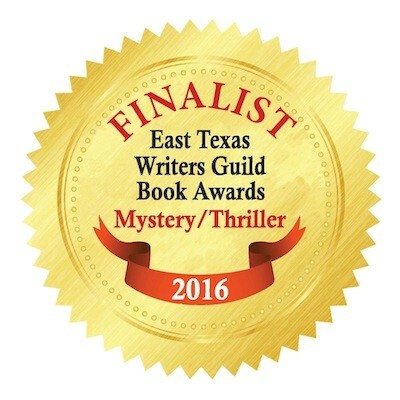 I discovered I enjoyed writing suspense with the paranormal wrapped into it. I was a small child during World War II. When my research said that Hitler was interested in the occult, I decided to set my Operation Delphi series during that time. I chose to put five different psychic talents onto the U.S. team so that I can feature each of them in later books. The clock struck ten o’clock that Wednesday morning. A clairvoyant, a medium, a crystal ball reader, a seer of ghosts and a nurse with healing hands sat around the polished, antique table in the Hamilton House mansion library, now their conference room. The stormy weather that had heralded America’s entrance into the war had finally passed. Balmy breezes crept through the opened French doors, allowing exit to a flagstone patio and extensive estate grounds. They—the Operation Delphi team—were the White House’s top-secret psychic defense against Nazi mind control. They were attempting to raise their psychic powers to new levels. Distractions could wreck the experiment. U.S. WAVES Lieutenant Olivia “Livvy” Delacourt rolled her shoulders and shook out her hands before raising one hand to push back a bobbed strand of brunette hair still curled from the dampness of a morning shower. Beneath the starched, white-cotton collar of her uniform, she massaged a spot of tension at the nape of her neck. She and her team were attempting to coerce U.S. Navy Commander Barrington Drew III—“Trey” to most everybody—to act against his better judgment. Livvy glanced at their goal written in white chalk lettering on the blackboard—Get the boss to eat hardtack. Skeptical engineer that he was, Trey wouldn’t be a cinch to manipulate into eating food he despised. British spies had picked up rumors that Hitler’s inner circle of occult practitioners was capable of disrupting war preparations purely by mental suggestion directed against U.S. citizens. To combat this, President Roosevelt established the ultra-secret group The Watch Committee. In turn, and under the supposed oversight of the Navy, the committee created a U.S. occult team named Operation Delphi. A second mission, but just as important, was to psychically search for Nazi spies who infiltrated cities and towns along the East Coast, especially in the states of Pennsylvania, New Jersey and New York. In this, their team had had some success. A few weeks back, they’d zeroed in on German spies, resulting in their capture. But that success was a drop in the bucket compared to what must be done to win a war. Visions normally came willy-nilly to Livvy. As a Delphi operative, she must invoke clairvoyant visions at will. If rumors were true, they were neophytes compared to their Nazi counterparts and had a lot of work cut out for them. Livvy spoke aloud, as much to fortify herself as to spur on her team. She rubbed her hands together, the resulting friction creating physical warmth even as it drew sustenance from the ethers. 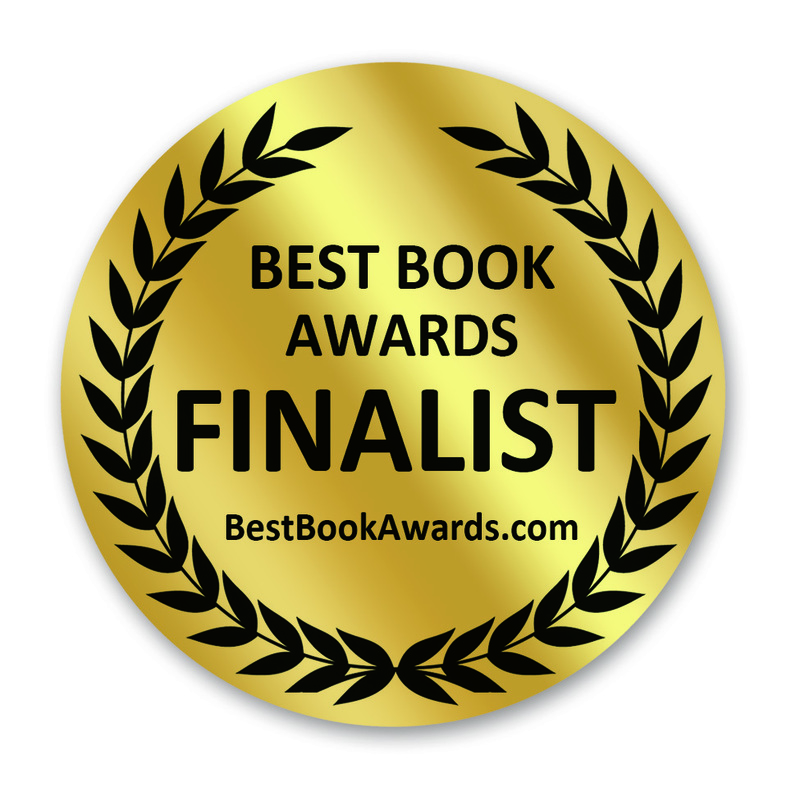 She aligned her eyes to a crammed, floor-to-ceiling bookcase directly in front of her. Unfocusing her physical sight, she relied instead on her psychic third eye. Releasing her willpower from the mystical bonds that anchored consciousness to her physical body, she allowed her spirit to drift upward as if riding a sunlit cloud. From ceiling height, she dispatched a mist of spiritual well-being to her physical body, which sat dutifully on the straight-backed conference room chair. With a mental tug on the silver cord connecting body to spirit, she drifted through the wall and along the back hallway. Dragging the silver cord and probing ahead with rainbow-colored tendrils, Livvy glided closer to Trey’s office. Her spirit effortlessly slipped through the office wall and drifted leisurely across the ceiling, then floated downward, stopping behind the high-backed, black leather executive chair where Trey sat. Livvy knew that the comfortable chair and his rosewood office desk were a gift from his politically prominent, industrialist father, who was also a member of The Watch. A lined, yellow, legal-sized pad rested on the leather-bound desk blotter and had some notes written in ink. From this close vantage point, Livvy reached out tendrils of mental willpower to tug on his aura and to entice him into the conference room. “Dammit to hell.” He shouldn’t be bothered by hunger pangs. He’d eaten a large breakfast not that long ago. Trey pulled out a desk drawer, looking for candy, but no luck. Adding insult to injury, on top of hunger pangs something was poking him at the back of the neck. He checked beneath his uniform collar to see if the laundry tag was straight. His fingers unearthed nothing to explain the sensation or where the hell the smell of gardenias was coming from. Irritating. I’m writing Expect Betrayal, Book 3 of the Operational Delphi series. It takes place in war-torn England. The Nazi spy is a warlock and the protagonists have an assassin pursuing them. When I sold my first manuscript. Writing is not easy work and is mentally taxing. My brain gets tired after 3-4 hours. I write in the morning when I’m most alert. I use the rest of the day for marketing, administration, author events, and the everyday chores that come with keeping myself and the household active and running. I’m a practical person and don’t really have quirky habits. The closest I’ve come to quirky is the I prefer to exercise immediately after waking up in the morning and before I begin writing. Before being an author, I worked in offices and found that I got stiff from being at a computer all day so I started the practice of exercising before taking the bus to work. I continued this quirk into my writing career, even though my travel time only involves going down a flight of stairs. When I was a child, opportunities for females were extremely limited. I was counseled to take the Commercial course in high school so that I could support myself by being a secretary until I married. My other choices were to be a nurse (but I’m not fond of blood) or be a teacher (which I tried for a while in an adult school teaching ESL, but I found I got too involved with my students’ problems and find it emotionally easier to work at a computer) or a librarian (but my family had no money to send me to college) or I could work as a clerk in a store (I don’t like handling money). Other job pursuits were not open to females. There were an exceptional few who took the battery of society to become lawyers and doctors and scientists. The reason I started writing was as a way to bring in income in over my Social Security. Good thing for me, that the writing turned into a passion. I didn’t know at the time that only a small percentage of authors make enough that they can quit their day jobs. Thanks for being here today, JoAnn! It was my pleasure to be with you and your readers yesterday, Lisa. I wish everyone the best life has to offer.